Buying or selling real estate takes a lot of work, especially if you’re looking to do it on your own without the assistance of a traditional real estate agent. 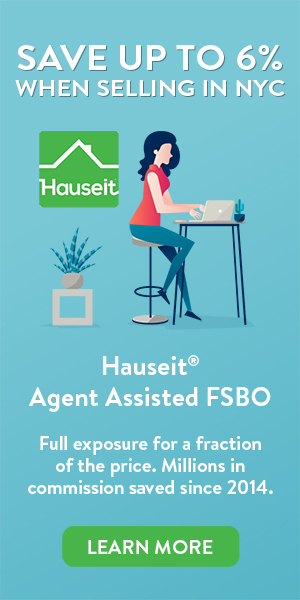 We recommend FSBO sellers and unrepresented buyers check out our list of the best virtual assistant websites so they can outsource some of the grunt work involved with buying or selling an apartment in New York. Just remember, a virtual assistant cannot be a replacement for a licensed real estate agent because most states will have laws prohibiting an unlicensed individual from negotiating or otherwise brokering the sale of real estate. This means your virtual assistant can generally help you with administrative tasks such as setting appointments, answering your phone, managing your email inbox, following up with people by email and searching for listings but cannot assist you with negotiating offers or otherwise representing you in the capacity of a real estate agent. This offshoring company focuses on outsourcing virtual assistants to low cost countries like the Philippines or India, where salaries are on average 70% less than U.S. rates. For example, instead of paying a U.S. based personal assistant $30 or even $25 a hour, you could hire a virtual assistant from the Philippines for only $6 a hour. This virtual assistant company makes a point of explaining to its customers that almost any task is capable of being handled online and on the cloud by a remote based assistant these days. As a result, why pay through the nose for an overqualified and overpaid U.S. assistant to answer your VOIP office phone and manage your email inbox when someone in the Philippines would happily do it for less? Jobstob really stands out among the best virtual assistant websites because of the ease of hiring a virtual assistant on their website. You can browse hundreds of vetted candidate videos on their website which we’ve found to be much more efficient than wading through resumes. This is especially true if you plan on outsourcing your virtual assistant because the easiest way to screen applicants is to quickly determine whether they speak English proficiently or not. There’s no better way to quickly screen candidates based on English speaking ability than by browsing introductory video resumes. As of this writing, Jobstob offers full time assistants for $6 an hour and offers complimentary time tracking software to monitor what your virtual assistants are actually doing and how many hours they are putting in for you. This virtual assistant company takes care of all of the paperwork, compliance, HR, payroll and continuing education for both you and your virtual assistant so that all you’ll have to do is pay a monthly invoice. 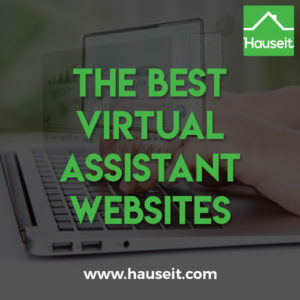 What we really like about this virtual assistant service is that they’ll help you set up any tools and services you’ll need to be able to work with your new virtual assistant, and they’ll even help set up a simple WordPress website for you and assign a virtual assistant to you who knows how to use WordPress if you’d like. As of this writing, Jobstob offers a 30 day money back guarantee as well. If you’re not pleased with their service for any reason, they’ll offer to find you an immediate replacement or give you a full refund anytime within the first 30 days. 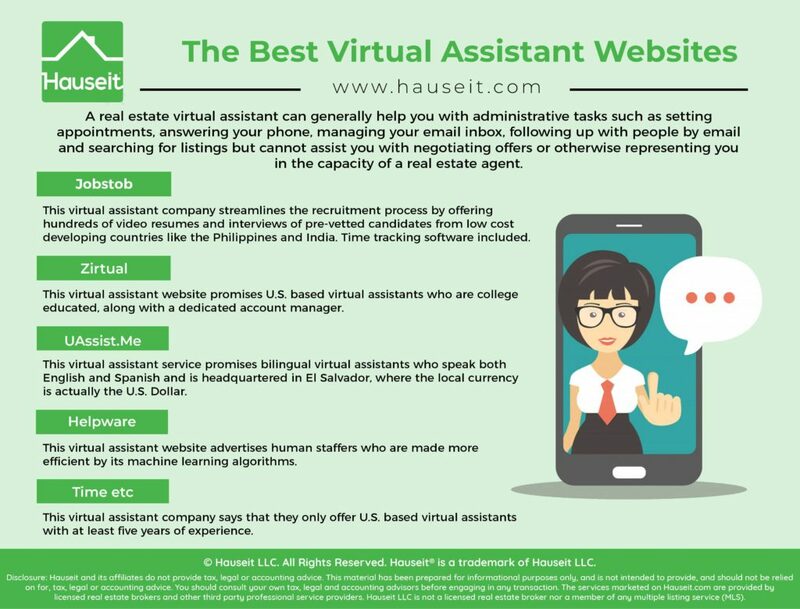 This virtual assistant website promises U.S. based virtual assistants who are college educated, along with a dedicated account manager. However, all of this comes at a cost. Their cheapest plan costs $398 per month for 12 hours of task work, which equates to $33.17 per hour. Their most expensive plan costs $1,398 per month for 50 hours of task work, which equates to $27.96 per hour. This virtual assistant company claims one of its primary benefits is the ability to hire and have a virtual assistant begin working immediately, vs having to go through a drawn out hiring process. They also claim that replacing a virtual assistant is as easy as sending one email. Of course, that sort of marketing language may be oversimplifying things a bit. We assume you’d still need to interview and vet the candidate they present to you! Lastly, we do like their 30 day money back guarantee. They say that if you’re not happy for any reason within the first month, they’ll give you a full refund. Though we do like this customer satisfaction guarantee, we still can’t wholeheartedly recommend this service because of the high cost of the service. The prices charged aren’t so different from what you’d pay for a traditional, in-person, full-time employee based in the US. This virtual assistant service promises bilingual virtual assistants who speak both English and Spanish and is headquartered in El Salvador, where the local currency is actually the U.S. Dollar. As a result, these guys are only a 2 hour flight away from many major U.S. cities and offer what’s called a “near-shoring” vs off-shoring service. A further benefit from being located in El Salvador is that the time zone will line up for customers based on the east coast of the United States. This virtual assistant website claims to have a management team with U.S. work experience and college educations, and also a low supervisor to employee ratio. The cheapest plan this virtual assistant website offers is $299 per month for 20 hours of work. That equates to $14.95 per hour. The most expensive plan is $1,598 per month for a full time assistant that works 8 hours per day. Assuming a 160 hour work week, that comes out to $9.99 per hour. All plans supposedly come with a backup assistant, backup electricity and a direct supervisor. One interesting feature about this virtual assistant website is that they utilize Chargify to allow you to use your credit card for recurring payments directly from their website. As neat as that is, we still think the prices are a bit too steep. The cheapest plan has a hourly rate that is basically equal to the U.S. federal minimum wage of $15. With that type of pricing, it may almost make sense to look to hire a full time, in-person assistant based locally. This virtual assistant website advertises human staffers who are made more efficient by its machine learning algorithms. However, if you do want to link up with its API, the solutions are limited to a few tasks as of this writing: Comparison, Categorization, Phone Call Campaigns and Image Annotation. They also offer more traditional virtual assistance through packages that start at $2,100 a month for 40 hours per week. Pay $100 more per month and your virtual assistant gets upgraded from a “back office agent” to a “customer support rep.” Assuming 160 hours per month, you’re looking at $13.13 per hour for the cheapest plan. Too expensive by our standards. As nifty as all that machine learning talk may be, we think it is overkill for the vast majority of businesses and far too complicated to use. In fact, they advertise their API and automated solutions to developers looking to get a combination of human and AI assistance. This virtual assistant website’s claim to fame is that its founder was the former executive assistant to Sir Richard Branson. This virtual assistant company says that they only offer U.S. based virtual assistants with at least five years of experience. This service also claims that they are quite picky with the interview process, and that they receive around 500 applications for every virtual assistant that they ultimately select. The cheapest plan on this virtual assistant website is $250 per month for 10 hours of work, or $25 per hour. The most expensive plan is $1,260 per month for 60 hours of work, or $21 per hour. Unfortunately, this is still quite expensive and will be out of reach for many small business owners.